Cultivation: Propagation of plants by using the tiller. Maintenance is easy, it needs enough water to those ways of watering elbow, keeping moisture and fertilization, especially basal fertilizer. These plants contain chemicals that have been known to include è essential oil containing borneol ester (mixture valerianat acid, butyric, acetic and formic), terpenes, dipenten, terpineol and bonilalkohol. Katinina alkaloids and valerianina, Substance penvamak, fat and ash. 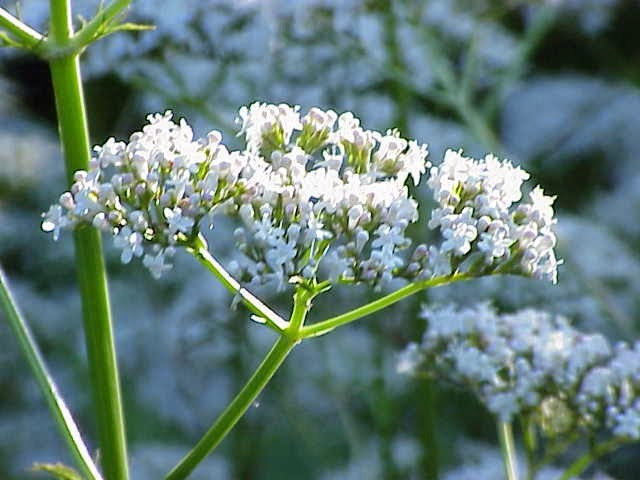 Pharmacological Effects: This herb has properties Sense è somewhat spicy, slightly bitter and warm. Root is sedative. handheld half leaves boiled with 4 cups water to 2 cups, strain, drink 2 times a day. Roots slightly mashed, add filtered water, drinking.